I had an email from Pulse Cashflow Finance, one of our funding panel, that I thought raised a great point about the recent failure of Carillion. Their clients will not be suffering any bad debts. 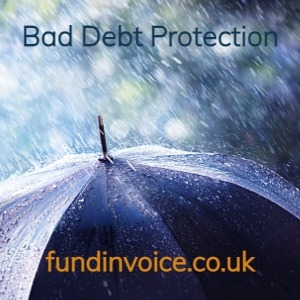 They have included "bad debt protection" for all of their clients, including those operating within the construction sector, meaning that their clients are protected from taking a bad debt. OK, so it was Carillion this time, but next time it could any other large construction sector company that you are dealing with - if you would like to find out how they can help your business with both cash flow and protection from customer failures, please request a call back from Pulse Cashflow Finance. Despite this, Pulse Cashflow are pleased that they have been able to reassure their clients who are directly affected by Carillion’s demise that they will not suffer any financial impact to their businesses. This is because they will benefit from the inclusive bad debt protection Pulse Cashflow offer with their finance solutions. For those clients using Pulse’s funding solutions, monies owed to them by either Carillion or other businesses across Carillion’s wider supply chain will be recovered through Pulse’s bad debt protection. Pulse Cashflow have also committed to supporting any of their clients who may be affected by the fallout throughout Carillion’s supply chain.